We are a small business with a big Heart, based around yoga, wellbeing and great food. We serve wholesome food and great coffee because this is what we are passionate about. Our core is our community, our yoga studio the beginning. The Heart was created while in search of our own, with the intent of bringing you in with us. Located in the heart of Bragg Creek, our doors are open and we are waiting for you. Check out our schedule to find out when you can join us for a class. Wholesome treats & coffee. see you soon. 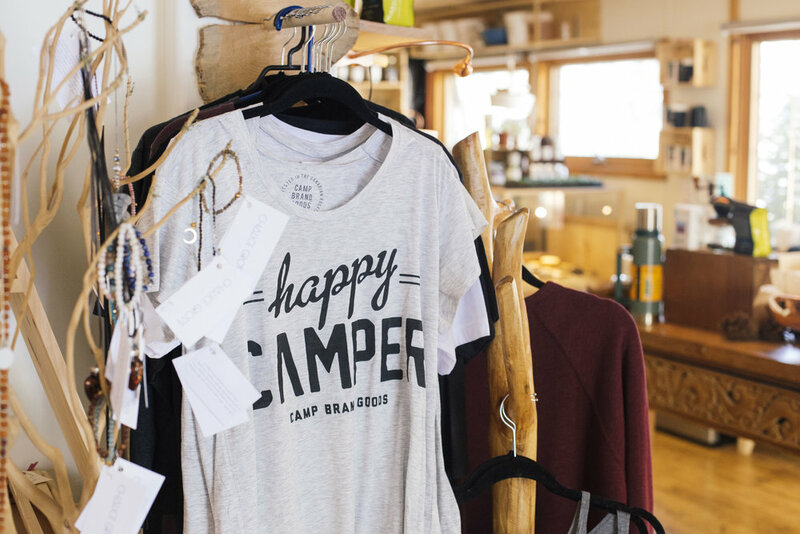 Our shop is a collection of locally sourced and hand crafted goods. As the seasons change, so will our shelves. When I first walked into The Heart I immediately felt welcomed... by the smiling faces, by the sweet aroma of fresh coffee and baked goods, by the beautiful decor.. You can see the personal touch in every little detail, meant to make your visit and experience so inviting and cozy. The staff is friendly and helpful, their chai latte is extra delicious and the yoga space is so beautiful and unique. I had the pleasure of enjoying a yin yoga class which was wonderful and rejuvenating, and it was oh so lovely to end it surrounded by nature, with a delicious fresh salad and an iced tea on the deck. Definitely one of my favourite spots around! Venue Rental: Host your next event, corporate retreat, team building, teacher trainings, yoga getaway or live music event with us.